What's a mini-office, you ask? Essentially it's a one-stop place for all those essentials that the kids might need while working on their school work. They can prop it up and find quick answers to some of their common questions. contact paper (I took mine to a local teaching store and had all four I made laminated for around $6). 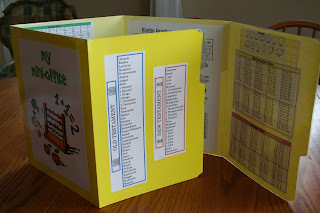 Glue your file folders together side by side, overlapping one side of each. Be sure that the folders can still fold up inside each other (i.e. don't put them together too closely). 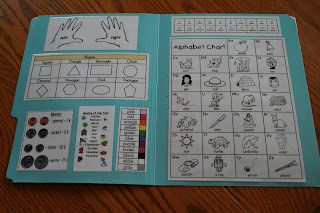 Print off the worksheets and things that you want to put into your office and place them where you want them. I had one side more focused on reading/writing things and the other one more math/science/geography related. 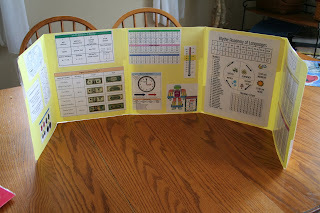 Glue your charts and worksheets in with glue sticks and laminate. 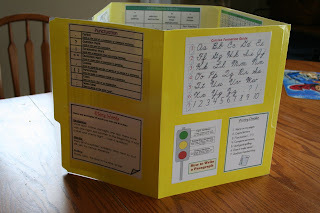 If you would like to make you own mini office, I've included some great links to various sites where you can download some worksheets to use in your own mini office. 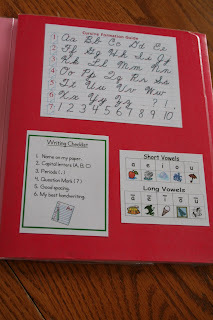 I created a few worksheets of my own and they are available as a pdf file to download them for your own use. Squidoo - links and more picture of other mini-offices. I have enjoyed reading your blog today! 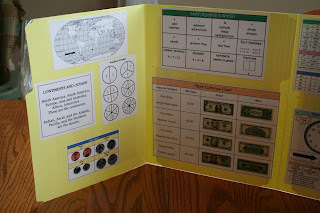 I am starting Galloping the Globe with my 1st and 3rd graders this year (I also have a 6th grader.) I happened upon your blog when I searched GtG in google. 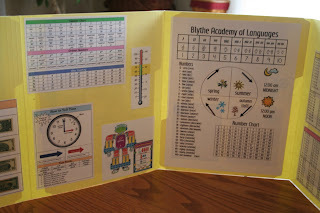 I also love to implement Mini Office Lapbooks for our homeschool. Last year was the first year I made them and they were a big hit. 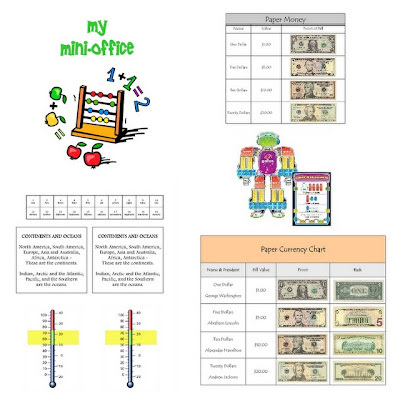 I am now planning out this years Mini Office lapbooks. I'll stop back in sometime. I love this. Very cool! Ok, Ok, this may be the coolest thing ever. 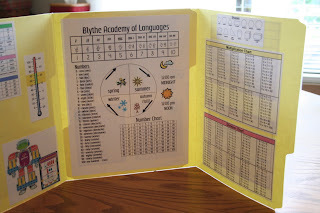 My 13 yr. old is adopted internationally, and English is her second language, it just occurred to me that putting something like this together would be SO helpful to her. Incredible post -- how-tos, pictures, and freebies. What more could anyone ask for ? 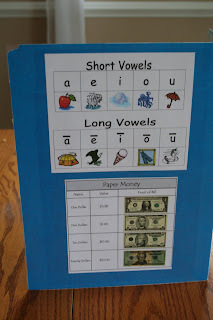 I've linked to this on my Mini-offices page! 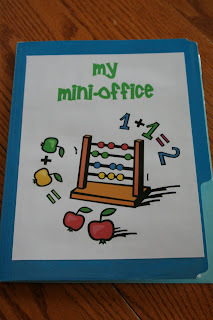 Your mini-offices are awesome! You did a wonderful job on these! Thanks for the great post and all the links. What a great idea! Thanks so much. such a great idea! I am so doing that for my own AND for my piano/music students!